A Supreme Court Bench comprising of Justice T.S. Thakur and Justice A.K. Sikri today dismissed Sahara Chief Subrata Roy’s plea for his transfer to house arrest. The court however, modified the order restricting sale of property, to raise the amount for his interim bail. The Bench further referred the proceedings to a larger three-judge to be constituted by the Chief Justice of India, keeping in view the importance of the issues that fall for determination in these proceedings and the ramifications that the directions issued by this Court may have. Senior Advocate, Mr. Fali S. Nariman was appointed as the amicus curiae, having regard to the nature of these proceedings and the stakes that are involved. However, his consent is yet to be taken. The Court had its reservations over Sahara’s plea for house arrest, owing to the conditions which had led the court to pass such grim orders. It said that the Bench has passed a conditional bail order after due and proper consideration having regard to the attendant circumstances including conduct of the contemnors. 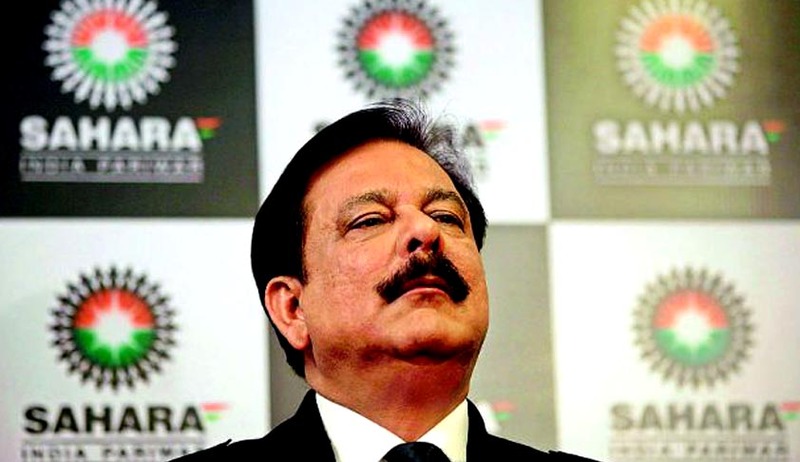 Sahara submitted a list of nine immovable properties in nine different cities of the country, the sale of which was approved by the court. However, the sale of three other properties situated abroad was stayed by the court, for want of necessary details. The court ordered that the question is left open to be determined after the requisite documents/information is made available by Sahara in terms of our order dated 29th May, 2014. No objection was raised by SEBI, represented by Mr. Venugopal, as long as the safeguards are provided for such sale and transfer. The court did order safeguards that need to be undertaken, such as depositing the maturity value/sale consideration in the designated SEBI bank account, as also furnishing of details of valuation of properties so that these are not sold at a lower price than the estimated value or the circle rates. It also said that the sale should not be to persons related to the group. Also, the bank guarantees were directed to be from a scheduled or nationalized bank and not a cooperative bank. SEBI was directed to release the title deeds of the said properties. In March 2014, the court had observed that not only its orders were not complied with; contemnors had adopted dilatory tactics to delay the proceedings before the SEBI, the High Court and even before the apex Court. They were since then in judicial custody in Tihar jail. The Court justified its stand by observing that the total amount to be deposited is between Rs. 33000/- to Rs. 35000-crores. To show their bonafides, the contemnors have been directed to deposit less than 1/3rd of that amount as a condition for bail. The trouble for Sahara began when Sahara invited deposits from general public in the form of Optional Fully Convertible Debentures. However, SEBI later discovered, on a complaint from Professional Group of Investors Protection, that the Red Herring Prospectus issued in 2008 and 2009 by two of Sahara’s companies, are not legally permissible. Hence, through an ad interim ex parte order, SEBI directed it not to offer any further shares to the public. Later, Bombay High Court, by an order in 2011, directed Subrata Roy and three other directors to jointly and severely refund the amount collected by Sahara. Even the Securities Appellate Board concurred with SEBI’s view. An appeal was then made to the Supreme Court, which extended the period of refund to the end of August, 2012. All the details had to be provided to SEBI and it had to examine the correctness of the details so furnished. Pursuant to December 2012 order, Sahara deposited Rs.5120-crores with the SEBI but failed to pay the remaining amount. The balance amount payable is in the vicinity of Rs.12280-crores, exclusive of interest payable on the same. Hence, contempt petitions were filed by SEBI. In March 2014, an order was passed by the apex court for granting interim bail to the contemners, on the condition that they deposit Rs.10, 000-crores. Out of this a sum of Rs.5,000-crores had to be deposited in cash before this Court while the balance amount of Rs.5000-crores had to be secured by a bank guarantee of a nationalized bank, furnished in favor of the SEBI. Read Livelaw story, here. Instead of complying with this order, Roy filed writ petitions challenging the validity of the order. The petitions were heard by a bench comprising of Justice K.S. Radhakrishnan and J.S. Khehar, and were subsequently dismissed. This Bench had penned the noteworthy judgment which had lengthened the Chief’s stay under custody. It had rejected his plea challenging its March 4 order detaining him for not abiding by the order to return investors money by steering it through SEBI. Justice Khehar in this judgment had said, “We won’t allow Bench Hunting, Bench-Hopping or Bench Avoiding” Read the Livelaw story here. Subsequently, this new Bench was formed in the wake of Justice Radhakrishnan’s retirement and Justice Khehar’s recusal from the matter. Read more news about the Sahara Case here.